Diabetic retinopathy is a disease of the blood vessels in the retina. Diabetes causes these blood vessels (and those all over the body) to become weak and brittle. Eventually, these weakened blood vessels begin to breakdown and leak blood onto the sensitive retinal tissue. This prevents oxygen rich blood from getting to its destination and forces the eye to compensate by growing new and even weaker blood vessels. The blood that leaks onto the retina damages the sensitive neuronal layer that sends messages to the occipital lobe of the brain. Once damaged, these cells can no longer transmit their image signals and vision is permanently lost. If you're diabetic, it's important to have your eyes checked by a qualified ophthalmologist (preferably a retinal specialist) a minimum of every 6 months; every 3 months if your blood sugar is erratic. All of these tests, with exception of the fluorescein angiogram, are standard elements of any eye exam. For diabetics, the angiogram is also a standard element. Both refraction and tonometry are vital elements of any exam. 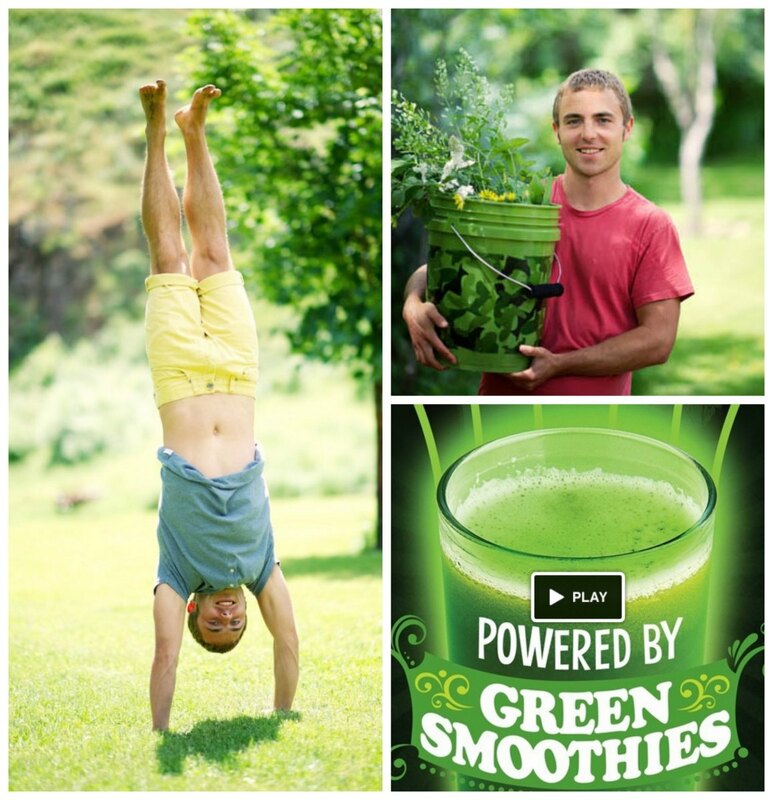 In diabetics, they can discover major problems before they are actually problems. Even the most conscientious diabetics will have sugar spikes. Many brittle diabetics have these spikes constantly. When the blood sugar rises, the glasses prescription in the eye changes because the patient becomes more myopic, or nearsighted. By performing a refraction, the technician (and the doctor) will see a stark contrast between your current glasses prescription and the results of the refraction. It is very important for diabetics to check their blood sugar the day of their appointment, and as close to the appointment time as possible! Knowing what your blood sugar is within a few hours of the refraction provides the technician performing the test valuable information. For many people, getting through this test is difficult, and that is completely okay. The test is meant to be somewhat difficult. You are given a choice between two different lenses and asked which one is better. Most of the time, it is easy to distinguish the two. However, sometimes the two lenses are so similar you cannot tell a difference. If this is indeed the case, tell your technician! This is where the technician needs to stop the test because they have reached your final prescription. Tonometry is defined as the procedure used to check the pressure in a patient’s eye. For diabetics this is especially important because diabetic retinopathy can cause neovascular glaucoma, a disease where blood vessels grow into the drainage tubes of the eye and block them. 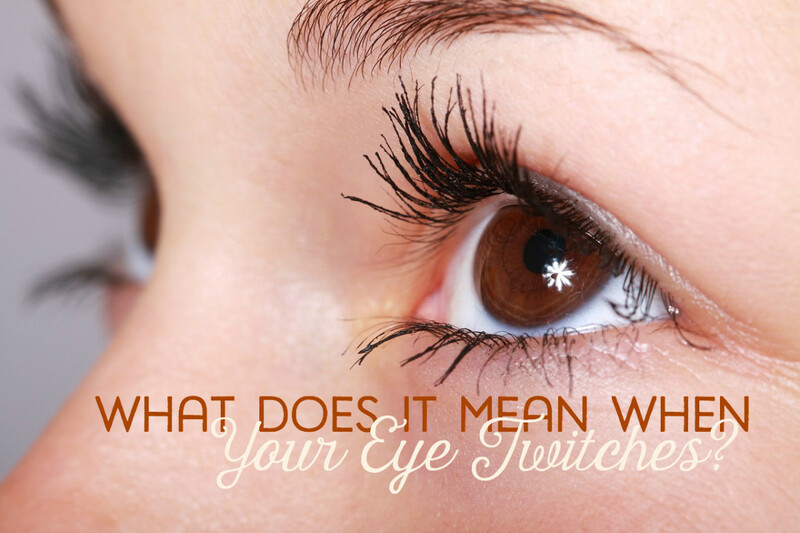 This forces the pressure in the eye to rise, which can lead to permanent blindness. By checking the pressure, your doctor will be able to see quickly if this is a problem. 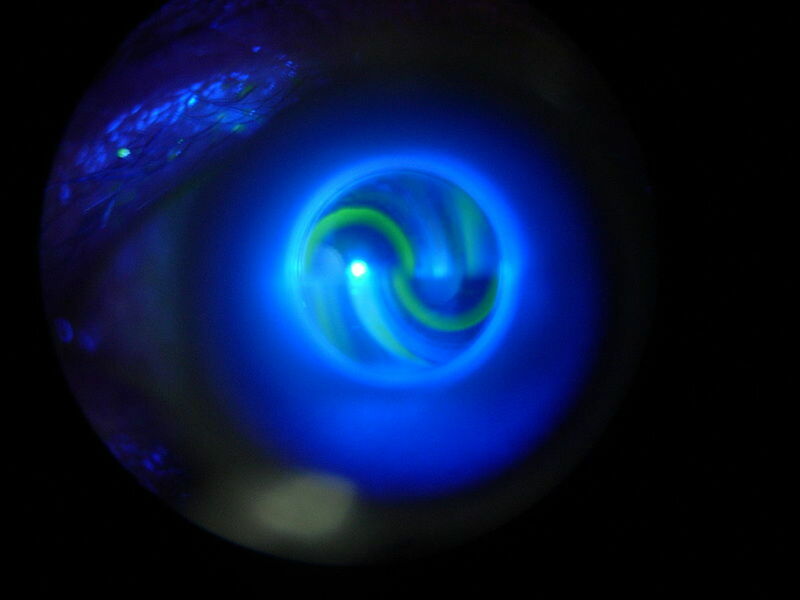 The pressure is checked by instilling a yellow dye known as fluorescein into the eye along with an anesthetic. This will burn considerably! Blinking your eyes rapidly (batting the eyelids) will alleviate the burning faster than leaving the eyes closed! 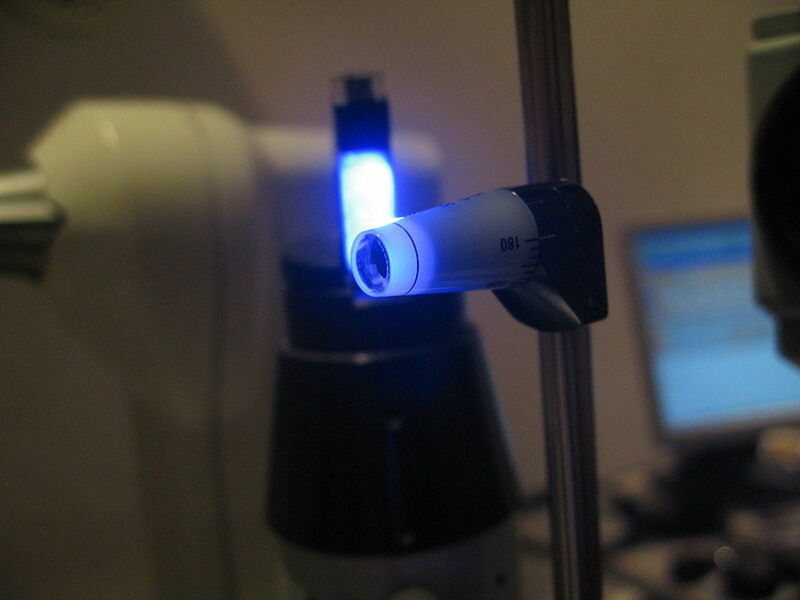 After the drops are instilled, the technician will check your pressure using a glowing, cobalt blue probe (see photos). By adjusting the tension of this instrument, the pressure is measured by how much force the probe needs to flatten the cornea. This is gauged by the mires seen during the test (see photos). The technician should be fairly quick when doing this; however, some are not as adept as others. They should not hold your lids when testing as this can put pressure on the globe (eyeball) and cause an artificially high reading. If the technician does start by holding your lids, request that they stop, but only if you know you can hold your eye open. Most patients can easily hold their eye open for the brief amount of time the probe contacts the eye. This is where the doctor takes a look at the retina in the back of the eye. This is extremely important in the case of diabetics because weakened blood vessels from diabetic retinopathy are easily seen by your ophthalmologist. The fundus exam is conducted after the eyes are dilated, which takes approximately 20 to 30 minutes. 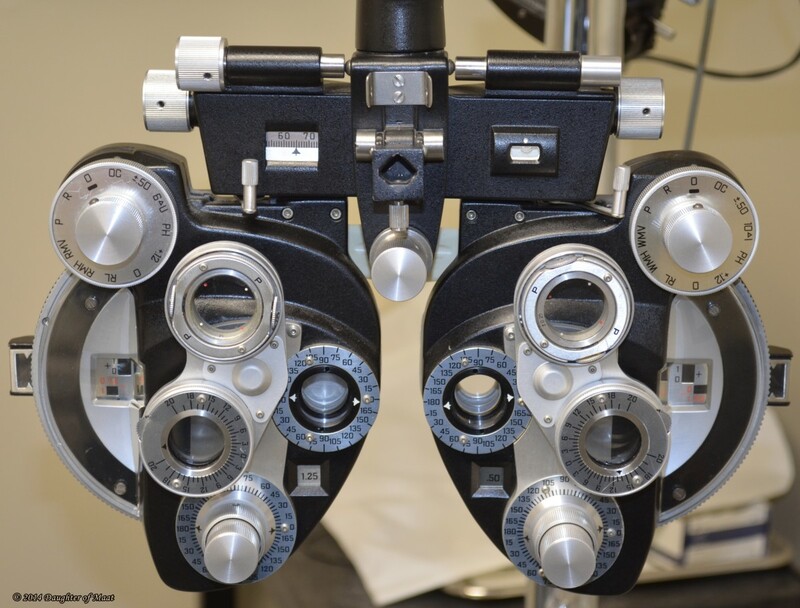 Once the eyes are dilated, the ophthalmologist will look into your eyes with the indirect ophthalmoscope. This instrument is worn on the head and looks a bit like a space helmet with a really bright light on it. This part of the exam is uncomfortable, but will be over rather quickly. If you can’t keep your eyes open because the light is too bright, ask the doctor to turn down the light. OCT stands for Optical Coherence Tomography, which is a fancy name for using a reflection to provide a cross-section of the retina. It was developed 1990 by Naohiro Tanno, a professor at Yamagata University. This was probably one of the best inventions in ophthalmology because it allows doctors to see all ten layers of the retina (see photo). Being able to see all ten layers makes it easy to spot edema (swelling) and catch retinal detachments well before they happen. It also shows drusen in patients with macular degeneration. In diabetics, doctors can see neovascularization by the separation it causes to the choroid before it causes severe damage. The single most important test for a diabetic to have is a fluorescein angiogram. 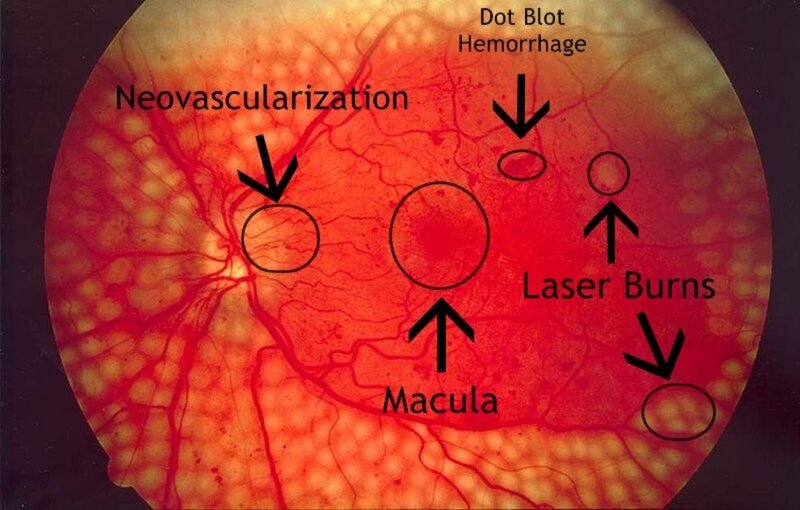 It shows doctors any neovascular blood vessels that are leaking (called proliferative diabetic retinopathy) allowing them to plan laser treatments and other therapies. Angiography uses fluorescein, a yellow dye, to cause the leaky blood vessels to glow when a special filter is used on the camera. The dye is injected into the arm, and allowed to cycle through the body to the eye. Pictures are then taken at different intervals when the dye actually begins to fill the eye. 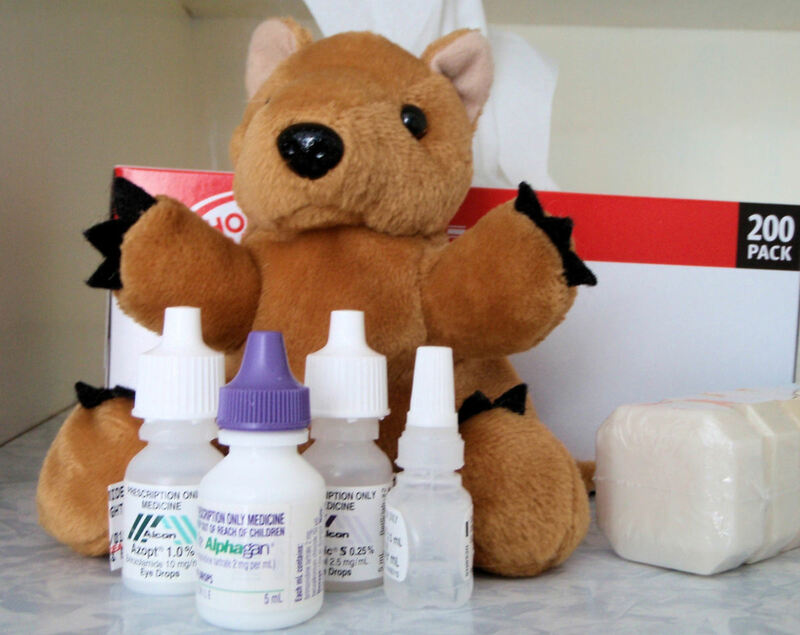 It is rare for a patient to be allergic to fluorescein, but it can happen. When it does symptoms usually include itching, nausea, vomiting, feeling like you are going to faint, and actually fainting. However, if these symptoms do occur, Benadryl or another antihistamine can be given to stop the reaction. If this is a concern for you, I’d recommend taking a Benadryl about 30 minutes before your appointment. The pictures come back black and white, and are actually quite beautiful. 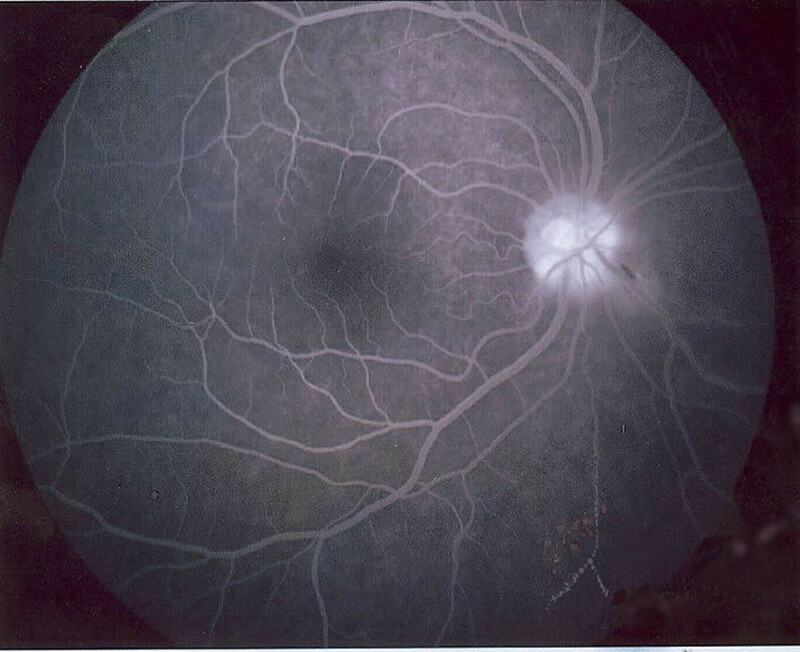 The leaky blood vessels and any leaked blood is a brilliant white color, showing the doctor exactly where he needs to treat the retina with laser. If you are diabetic, make sure you see your ophthalmologist every six months; if you are a brittle diabetic or have a difficult time keeping your blood sugar within normal range, you should see your eye doctor every three months. Absolutely, things like strokes, heart attacks, aneurysms, a whole host of problems. Blood vessels weaken as we age anyway, but diabetes seems to speed up the process considerably. As does high blood pressure. That's interesting. I didn't know about the blood vessels being weakened. Can that give rise to other conditions? 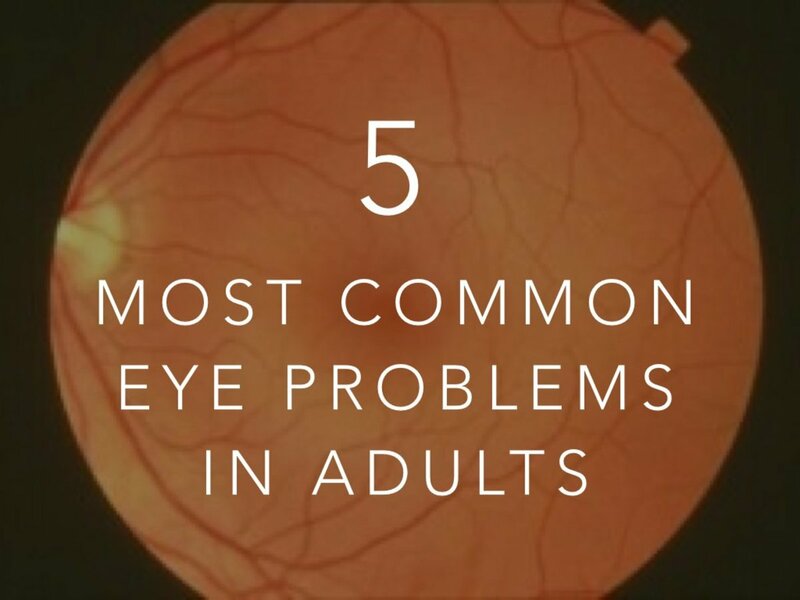 @phoenix not necessarily, although theoretically a patient that is myopic (nearsighted) does have a higher risk mainly because the eye is too long and the blood vessels (and the retina) are already weakened because of the constant stretching. Diabetic retinopathy can also make it very difficult to get an accurate glasses prescription, and it may change the prescription once it's been made into glasses. It's very frustrating! My brother-in-law and, more recently, my husband's best friend have been diagnosed with type 2 diabetes. I've noticed they both were glasses and have done since I've known them. Do vision problems make people with diabetes more susceptible to diabetic retinopathy? Thank you Eiddwen!! Most of my family suffers from type 2 DM, and they plus all the patients I've seen constantly ask the same questions, so this is my answer to them. I'm so glad you found it interesting! If I can teach just one person about diabetic retinopathy and way s to prevent it, I've done my job! :D Thank you! My partner suffers from Type 2 diabetes and this hub is so interesting . I am saving for future reference and enjoy your day. @Janine, thank you for tweeting and voting (ha tweeting... funny word) and I'm so sorry to hear your great-grandmother had to suffer with this!! It's horrible to go blind overnight and have no idea why on top of that! 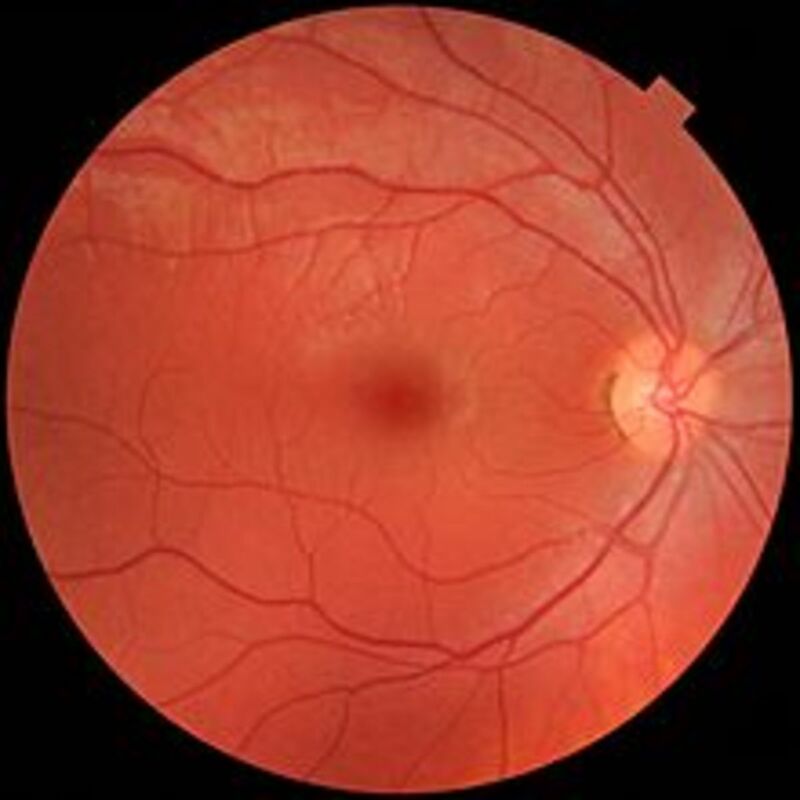 Indeed, as you said, "back in the day" they didn't have Fluorescein angiograms or OCTs and diagnosis of retinopathy was difficult in the early stages with just a fundus exam. In fact, not much was really known about diabetes back then. My mom had gestational diabetes, but no one new it. She ended up having a 10lb baby NATURALLY. Her doctor suspected it was a weight gain issue, and with her next child she was told to be very careful. Whenever you have gestational diabetes, your much more likely to get the full blown disease later in life, and sure enough, she did. Diabetics today are so lucky, and I'm sure ten years from now we'll have new technology that may catch this disease even earlier.